June 12, 2017, was the 50th anniversary of the US Supreme Court decision Loving v Virginia, which overturned a Virginia state law making interracial marriage illegal. It finally eliminated all such racial bans across the US. There was considerable interest in the case in the US (see for example here and here). 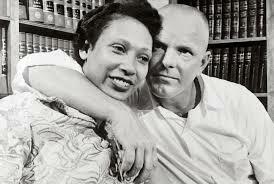 The case involved a white man, Richard Loving, who married a woman, Mildred Jeter Loving, who was of mixed African and Native American descent. They grew up in a mixed race community, and knew each other because Richard was friends with Mildred’s brother, with whom he shared an interest in car racing. Interracial marriage was illegal in Virginia at the time, so they had gone to Washington DC to get a marriage license. Shortly after they were married, they were arrested in July 1958, in the middle of the night, by an eager sheriff. They avoided jail by agreeing to leave Virginia, but were homesick in DC and so, with the help of civil rights lawyers, and even though they did not seek to be activists, they appealed their case all the way to the Supreme Court. Fifty years ago, in a unanimous decision that reversed decades of legal precedent for anti-miscegenation laws, the Lovings won their appeal and were free to live in marriage in Virginia. One aspect of the story that few people realize, and that I was not aware of growing up in the US, is that these racial laws are not that old. The law used against the Lovings was the “Racial Integrity Act” of 1924. I understood that the laws were “an instrument of ‘White Supremacy’”, as Chief Justice Earl Warren had written in his unanimous opinion, but I did not understand, growing up, that these laws had to be strengthened and reinforced to continue to mark the lines between the races, and indeed to create the lines. Many earlier laws had been repealed from the 1860s to the 1880s (e.g. in Illinois, Michigan, and Washington). Similar laws were repealed in 15 states between 1948 and 1965, in many cases probably because they also discriminated against Asians (California in 1948, Indiana 1965; see full list here). The Loving v Virginia case overturned anti-miscegenation laws in the remaining 16 states, mostly in the Deep South. But it is worth looking more closely at these figures. First of all, it is striking that whites are the group with the lowest rate of intermarriage, just 11 percent, compared to 18 percent for blacks. For Asians, it is 29 percent, and for Hispanics it is 27 percent. Even more striking is that 39 percent of US-born Hispanics and almost half (46 percent) of US-born Asians marry outside their group. As an aside, black men are twice as likely as black women to marry outside their group (24 vs 12 percent), while Asian women (36 percent) are much more likely that Asian men (21 percent) to marry out. (See details from Pew here). Since whites are the larger group, it is perhaps not surprising that mixing is less common than in the minority groups. But I wonder if a good deal of the intermarriage is within “people of color” and thus not having as much effect on whites as might be assumed. Furthermore, much of the supposed intermarriage may be between people who are already “mixed” themselves. A Eurasian man, born to an Asian mother and white father, will legally be considered Asian (the US government defines race matrilineally), but may not be treated as “Asian” in white American society. His marriage to a “white” woman will not raise as many eyebrows as his mother’s marriage may have. Similarly, a white man married to a Cuban-American woman may be considered a “mixed marriage” because she checks the box as “Hispanic,” but in terms of phenotypic appearance, it is possible she could pass for white… or at least as Italian. It may not really be considered by their families as a "mixed marriage." The issue is really a matter of our definition of “race” and culture. In a NY Times article printing reminiscences of mixed marriages, many wrote about “cultural differences.” If the couples grew up in different countries, or in different subcultures within the US, this may be an issue. But the story of Loving v Virginia is about “race,” not about culture; it is about not being able to marry because of what one looks like. The whole issue of race in America is confused, and intermarriage is making it more so. 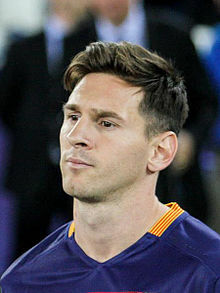 “Hispanics” are recognized as an “ethnic group” but are put on the same order of difference as “race.” Yet clearly a Hispanic’s experience in the US will be different depending on whether they are an Argentine who looks white like Lionel Messi (or the Pope) or a Dominican who looks black and indigenous like the baseball player RobinsonCanó. Gradually, American definitions of “race” have to change. Chief Justice Earl Warren had questioned the notion of a “pure race” in his questions to the lawyer for the state of Virginia, but the final decision did not address that issue, focusing just on the idea that anyone should be able to marry whoever they want. As one commentator points out, it is unfortunate that the Supreme Court did not challenge the very concept of race. But ultimately, racism will be defeated through cultural change, not biological change. As in the story of the Sneetches, only when people agree to drop the categories will racism be overcome. I heard a disturbing interview with Pat Buchanan on This American Life. Buchanan was asked how he felt that he had run for president three times in the 1990s and lost, but Trump took most of his ideas and won. (He said he was fine with it, happy the country is being saved.) In the interview, he defended his anti-immigrant position, a basically racist view, saying the country is already too divided, so the US should not let in non-white immigrants. He claims they do not assimilate. He thinks the US was better before 1960 when it was “majority European white” and when asked why he is against immigration, he says “I feel more comfortable with the folks [I] grew up with.” Until Trump’s election, these views were dying out with Buchanan’s generation. It remains to be seen whether the racism of the Alt Right is the last gasp of the reactionaries, or will be strengthened and emboldened by the Trump administration. In any case, I find it surprising and disappointing that intelligent people like Buchanan can say such racist things, fifty years after Loving v Virginia.